On the heels of Black Friday is Small Business Saturday, a holiday spearheaded by American Express in 2010. The day has gained the support of politicians and companies around the country and spurred more than $5 billion in sales in 2012. The holiday celebrates the small businesses that make up every community and encourages shoppers to do a bit of local shopping before the holidays. Here are five ways to promote Small Business Saturday and make it a great day for your customers. Work with other local companies to create a fun activity for families in your community. American Express recommended making a Small Business Passport and map to hand out to shoppers. Highlight the great stores and restaurants in your neighborhood and stamp customers’ passports when they make a purchase. It’s a fun way to build awareness and increase traffic of the different small businesses, and kids will especially love it. You can also collaborate with the other companies to offer prizes to shoppers who get all the stamps. The Mr. Christmas Musical Carousel Horse is a great option for dedicated customers. It’s a small way to thank the members of your community for participating in the holiday. You can use some tactics similar to those that big retailers use on Black Friday to get customers into your store. One method is to offer a free gift to the first 100 customers. Small Promotional Drawstring Backpacks are a good option, as you can include a brochure and coupon to your store inside. These hardy bags come in a variety of colors and are easy to customize with your company name and logo. If you want to offer customers a big-token item, consider holding a raffle for patrons who make a purchase on Small Business Saturday. A PNY Power Bank Charger is a unique gift that makes a perfect holiday raffle prize. Promote Small Business Saturday and any deals you’re offering on your website and social media accounts. To reach as many fans as possible, use your Facebook or Twitter analytics to post at peak times. Small Business Marketing Tools noted that you should also encourage your followers to share or retweet information about Small Business Saturday. This will help your message to reach new customers and hopefully garner more traffic on the holiday. Increasing awareness about the holiday will help it grow and thrive in coming years as well. Another way to get people out into the community for the event is to organize a themed run or walk. Work with your local government to host a 5K the morning of Small Business Saturday and offer a small discount to participants. Runners will be happy to burn off the calories they ingested on Thanksgiving, and families can walk the route for a little extra exercise. After the race is over, viewers will be encouraged to patronize local shops and restaurants. 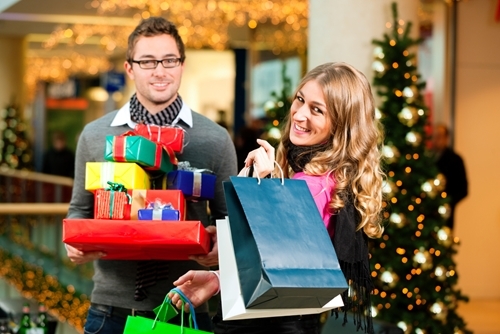 It’s a great way to reach new customers and get the whole community involved in the holiday. Festive decorations are another method to attract attention during the special event. Forbes magazine recommended using balloons, banners and signs to catch the attention of shoppers. There are many promotional materials available that focus on Small Business Saturday, but you can also use balloons and T-shirts with your business logo. If people know that you have a special event going on, they’re more likely to stop in.